Ethical dilemmas are everywhere • What is your product when it’s “free to use?” • Are we bullying instead of persuading? • What is “safe enough”? • How much effort should we put into preventing misuse? • Are we focussing enough on all our potential users? • How much harm can our product cause? • What are we sharing back to the community? What is your product when it’s “free to use”? Are we bullying inﬆead of persuading? How much effort should we put into preventing misuse? Are we focussing enough on all our potential users? How much harm can our product cause? 37 women who used the app came to Södersjukhuset for an abortion. • What is your product when it’s “free to use?” • Are we bullying instead of persuading? • What is “safe enough”? • How much effort should we put into preventing misuse? • Are we focussing enough on all our potential users? • How much harm can our product cause? • What are we sharing back to the community? 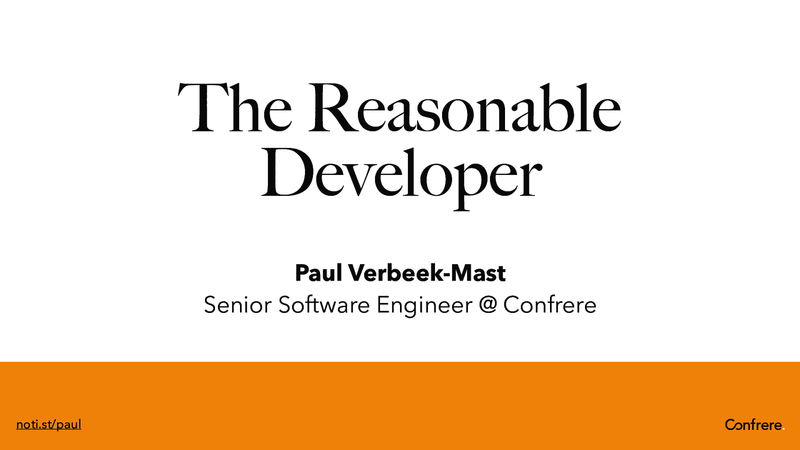 A Reasonable Developer 1. Does not write code that’s clearly unethical; 2. Reports any unethical code; 3. Holds upper management responsible for accomplishing something unethical; 4. Is obligated to consider ethical implications of their code. How to deal with ethical dilemmas. Think about the ethical implications, before and during development. ACM Code of Ethics and Professional Conduct “An ACM member should” 1. Avoid harm; 2. Contribute to society and to human well-being, acknowledging that all people are stakeholders in computing; 3. Be fair and take action not to discriminate; 4. Design and implement systems that are robustly and usably secure. ACM Software Engineering Code “A software engineer should” 1. Accept full responsibility for their own work; 2. Be careful to use only accurate data derived by ethical and lawful means, and use it only in ways properly authorized; 3. Avoid associations with businesses and organizations which are in conflict with this code. Ethics are an integral part of software development. Don’t juﬆ act reasonable. Act responsible. Create you own code of ethics. And live by it. In the 1800s, an astronomer came up with the definition of "L’Homme Moyen", the average man. His studies, on the way the average person behaves, are still being used in legal trials today to determine whether someone’s action was reasonable. They call this The Reasonable Person Standard. As developers, we make ethical decisions almost on a daily basis. Most of them are subconscious. And with machine learning, we’re even training machines to make ethical decisions. But a lot of the time, we ignore the ethical dilemmas and go for the easiest, fastest route. It's time to think about our responsibilities and how a reasonable developer would behave.